It's no coincidence Jasper Somsen's 3rd (and later this year 4th) Challenge Records album features an international piano trio line up. Recent years performing and/or recording in trio with a.o. Enrico Pieranunzi, Joey Calderazzo, John Beasley, Jeff Ballard, Justin Faulkner and Andre Ceccarelli, he is much sought-after by pianists. The former New York, now Montreal-based French master pianist and composer Jean-Michel Pilc and one of Jasper's all-time favorite French drummers Andre Ceccarelli joined him for this diptych. 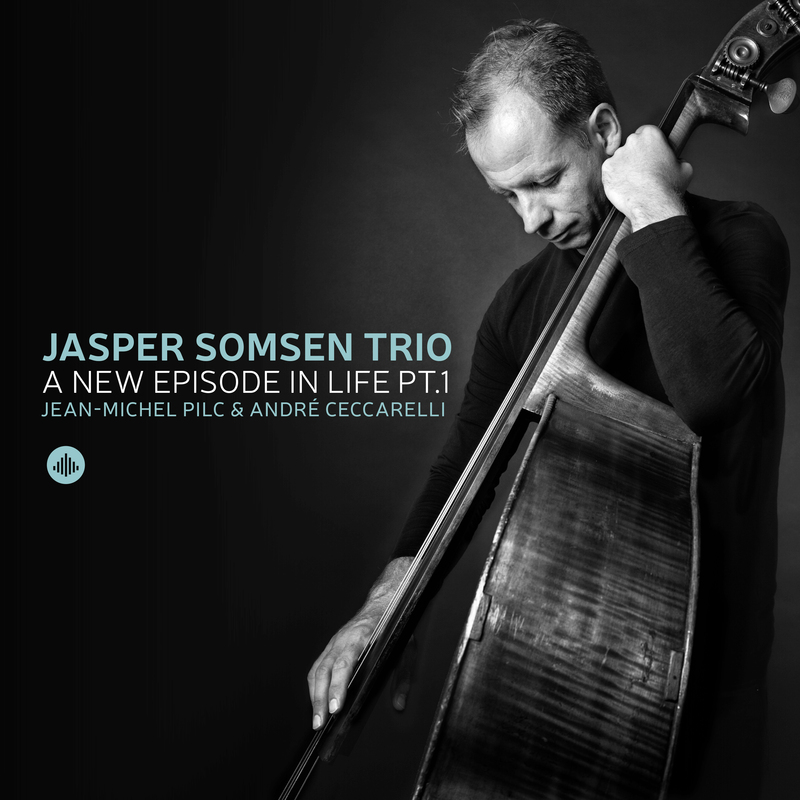 At their first encounter ever, this trio with Jean-Michel Pilc and Andre Ceccarelli recorded A New Episode in Life Part I & A New Episode in Life Part II in just two days. The album contains nine melodically strong instrumental compositions by double bass player, Jasper Somsen. Transparency is the key word in musical expression and form throughout the entire album, similar to songs without words. "On A New Episode In Life, the combination is so tight that it's hard to contain that Somsen and Pilc never met before." "Two days were devoted to record a CD, but after one day was A New Episode in Life Pt. 1 is already on." "An intriguing trio: intelligent, balanced and often poetic." "A real pleasure to listen to this CD, time after time, it only makes the desire for part 2 bigger." "Outstanding production that can not be missed in any music collection"
"A nice trio album, which will also be liked bij the friends of Nordic jazz." "... a consistently exciting piano trio album is finished"
"The album was recorded in just one day, while the part that will be released in autumn 2017, "Pt.2" is recorded in only six hours. That's very promising!" which gives the perfect texture for Jasper Somsen 's deep and dark bass sound. Even more impressive is the seemingly effortless interplay with Somsen and Ceccarelli. "